Add Some Paint – Perfect for single story homes, paint the back of your house a different color than the other sides. Neutral shades such as beige or light gray compliment gardens and many landscaping features such as a stone path or patio. Add Some Mulch – Lay mulch over your flowerbeds and exposed soil in your backyard for a finished and unified look. Plus, mulch helps block weeds and hold in nutrients for your plants. 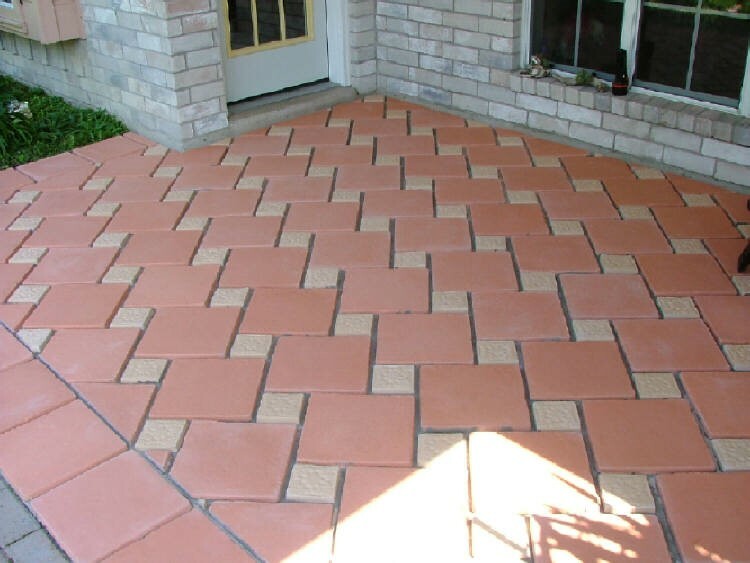 Create Your Perfect Patio – Don’t let your patio be a plain, hot slab of concrete. Stone use is exploding in homes, and it’s not just for walls or fireplaces anymore. Stone patios are durable, customizable and are an easy way to instantly add sophistication to your backyard. Olde World Stone & Tile Concrete Molds offers a wide selection of stone building materials, custom ideas and help to get you started on your stone patio, or more, today.